Our mission is to make sure every child has a fun, relaxing and pleasant experience while getting their haircut. We specialize in first haircuts and working with young children. 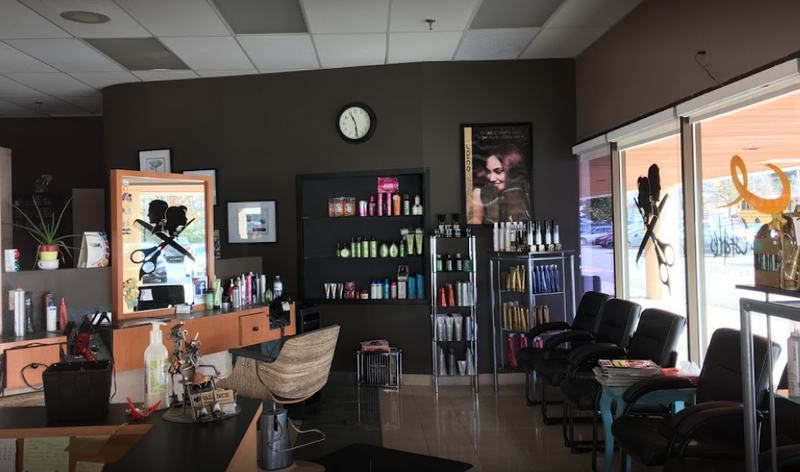 Services offered include: bang trims, shampoo, blow-dry, and style. We carry a variety of high quality hair care products made just for kids. 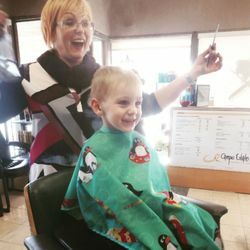 Helpful Tips For The Young Haircut Resister! Touch your child’s head often, a friendly ruffle of their hair giving it a brush or a gentle massage all familiarise your child with their head being touched. This reduces the stress to your child and prevents them from reaching up with their hands during the haircut. Bring a spare top for your child to put on after the haircut. Lots of children are resistant to wear a cape for the haircut so end up with hair all over them and very itchy!